D octors use it as a painkiller and partygoers use it for a high, but ketamine is starting to gain traction as a treatment for depression and suicidal thoughts. This growth has continued despite the drug lacking approval from the Food and Drug Administration (FDA) for managing depression. The trend comes as psychiatrists and doctors look for new ways to manage patients with severe depression. Not all patients respond to the standard antidepressants and many newer ones have shown minimal difference in effectiveness. A 2008 analysis actually found that many newer antidepressants were only marginally more effective than a placebo. Ketamine’s potential in depression treatments has been known since at least 2006, when a study showed it could produce near-immediate relief of symptoms that persisted for several days following treatment. A small number of other studies have been performed since and while the exact duration of benefits has differed—some reported longer-­lasting effects, others shorter—the common point has been that ketamine has succeeded where other antidepressants have failed. Doctors prefer ketamine as an anesthetic because it can quickly stop pain without impairing breathing. Its safety record is strong enough that it is commonly used as the painkiller of choice in children as well. The side effects that have been reported from ketamine’s antidepressant uses— confusion, vision problems, hallucinations—tend to clear up within two hours of treatment. No long-term side effects have been recorded as of yet. Numerous ketamine clinics have been opening across the United States, run by a mixture of psychiatrists, anesthesiologists, or emergency room doctors who have experience in administering the drug. Treatments are currently highly expensive; a single treatment can cost upwards of $1,000. This is due to a combination of how patients need to be closely monitored and because insurers will not cover experimental treatments. Proponents of ketamine hope further research, combined with raising awareness of existing evidence of the drug’s antidepressant effectiveness, will lead to greater acceptance and accessibility of ketamine treatments. Ballenger, J.C., “A Randomized Trial of an N­methyl­d­aspartate Antagonist in Treatment- Resistant Major Depression,” Yearbook of Psychiatry and Applied Mental Health 2006; 63(8): 204–05; http://www.ncbi.nlm.nih.gov/pubmed/16894061. 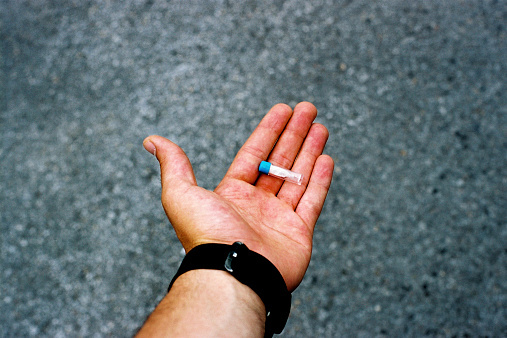 Hamilton, J., “Club Drug Ketamine Gains Traction As A Treatment For Depression,” NPR web site, September 28, 2015; http://www.npr.org/sections/health­shots/2015/09/28/443203592/club-drug­ketamine­gains­traction­as­a­treatment­for­depression. Kirsch, I., et al., “Initial Severity And Antidepressant Benefits: A Meta­Analysis Of Data Submitted To The Food And Drug Administration,” PLOS Medicine 2008; 5(2): 45, doi:10.1371/journal.pmed.0050045.